For decades, coal and other fossil fuels have been instrumental for the generation of electrical power in the United States. However, the burning of fossil fuels has, over time, come at a tremendous cost. The chemical processes that allow coal to generate energy also contribute to its harmful effects on the environment. 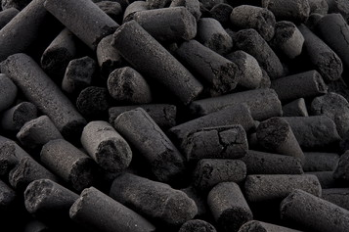 As coal burns, the chemical bonds that hold the carbon atoms in place are broken, causing the release of hazardous and potent greenhouse gases such as carbon dioxide and methane. These gases rise into the atmosphere and act as a heat-trapping blanket, warming the earth’s surface. If left unchecked, continuous greenhouse gas emissions can lead to increasing temperatures, elevated sea levels, droughts, heat waves, intensified rainfall, and loss of animal species. The Trump administration’s Environmental Protection Agency (EPA) is seeking to replace the Clean Power Plan (CPP) implemented by the former administration. The newly drafted proposal still aims to reduce the emission of greenhouse gases, albeit with regulations far less stringent than the CPP finalized in 2015. In October 2017, former head of the EPA, Scott Pruitt, signed a measure to repeal the CPP. In summary, the previous CPP outlined several goals for limiting emissions by employing methods such as shifting from coal to natural gas and building wind or solar farms. However, newly drafted regulations from the current administration, while still favoring coal, aim to regulate greenhouse gas emissions by making modifications to existing coal plants without changing utility modes. The CPP was widely heralded by fossil fuel advocates as “the war on coal.” However, despite attempts to breathe new life into the coal power industry, coal struggled to compete with cheaper and cleaner sources of energy. Many coal-fired power plants are either being retired or converted to natural gas. Additionally, the construction of new coal power plants has halted since they are more expensive than natural gas, solar, and wind energy facilities. According to several studies, the amount of electricity generated from coal power in the United States declined from 51% in 2008 to 31% in 2016. Natural gas has now surpassed coal, supplying 32% of total U.S. electricity (up from 21% in 2008). Furthermore, solar and wind energy sources have increased from 3% in 2008 to 10% in 2016. Ultimately, stricter environmental regulations and the gradual shift from coal to cleaner sources of energy bodes well for the environment and public health. Not only can the reduction of greenhouse gases prevent or slow down the progression of global warming and climate change, but it can also stop the spread of harmful toxic airborne pollutants into the atmosphere. EPA regulations regarding air, water, and noise pollution must be taken into account by those in the power generation sector. The implementation of emission-reducing equipment is, therefore, instrumental when adhering to federal regulations. At Central Metal Fabricators Inc. our state-of-the-art silencing equipment aims to tackle the least-discussed form of pollution often produced by coal-powered gas turbines: Noise pollution. Constant loud noise, such as that emitted by turbines, can have a harmful effect on workers and others who are exposed to it. We custom manufacture several types of gas turbine silencer equipment to reduce harmful noise to acceptable levels in accordance with EPA regulations. We also work with professionals in the power industry to custom manufacture equipment and accessories to reduce the emission of standard pollution. To find out more about our solutions and products, feel free to contact our technical team today. Also, be sure to follow our blog, follow us on Twitter, and follow our LinkedIn page to stay up to date on current industry news and trends. This entry was posted in coal power, Energy, Energy efficiency, fossil fuel, gas turbines, Manufacturing, oil and natural gas production, regulations, renewable energy, Silencing Equipment, Turbines, Wind and Solar and tagged clean energy, clean energy sources, clean power plan, climate change, coal, coal plants, CPP, electricity, emission of greenhouse gases, emission reducing equipment, energy, environment, Environmental Protection Agency, EPA, EPA regulations, fossil fuels, gas turbine silencer equipment, gas turbine silencing equipment, Gas turbines, global warming, greenhouse gases, natural gas, noise pollution, power generation sector, power plants, reduce emission of greenhouse gases, silencing equipment, solar farms, turbines, wind farms. Bookmark the permalink.